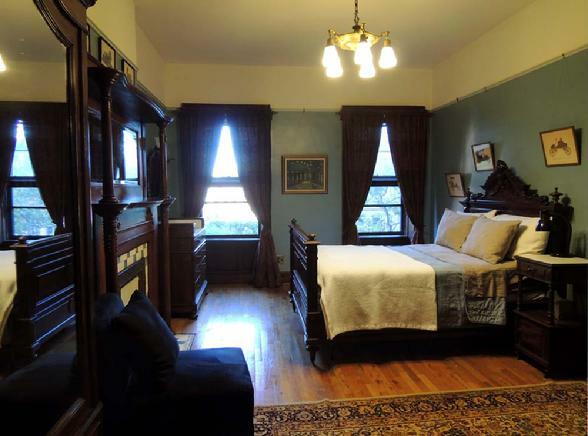 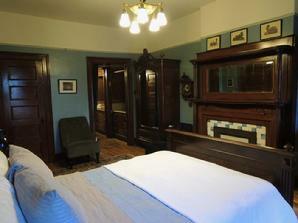 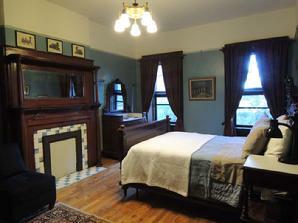 The Blue Room is our largest bedroom. 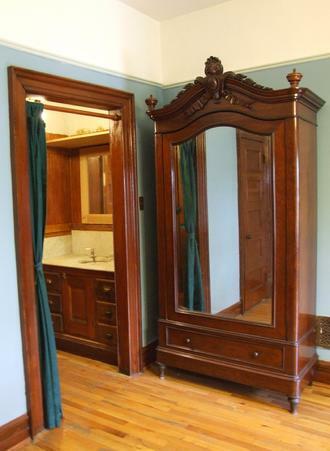 It has a full size bed and dressing area with a private sink. 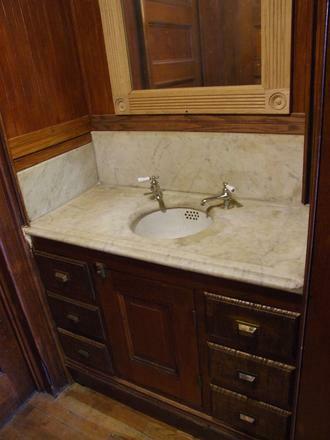 un lit double et une niche avec lavabo privé.